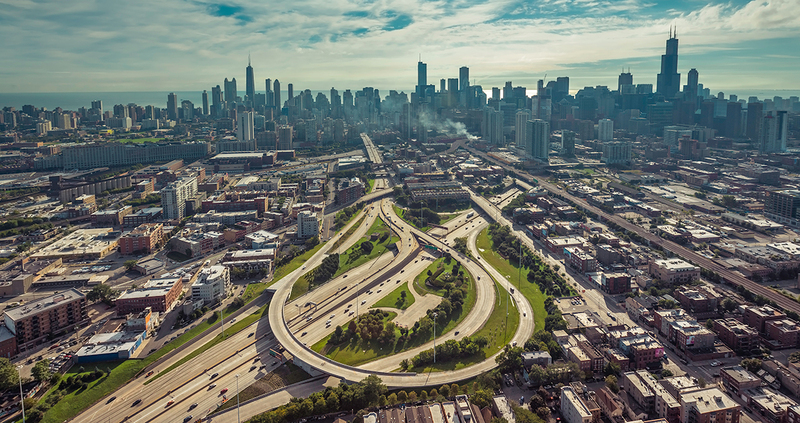 Illinois’ recent score of a C- on the American Society of Civil Engineers’ infrastructure scorecard signals underinvestment from elected officials, according to Darren Olson, chairman of the report card study. The report card, formulated by ASCE’s Illinois Section, assesses everything from the state’s roads and bridges to its ports and dams. The Illinois Section of ASCE consists of 28 engineers who represent the Central, St. Louis and Quad Cities regions of the state. Olson said legislative issues such a budget stalemate as well as a pension crisis have led infrastructure investment to fall by the wayside. Olson, who also works as a water resources project manager for an engineering firm based outside of Chicago, said projects of his have been held up for two years because of state legislators’ inability to agree on a budget. Like ASCE’s national infrastructure report card, state scorecards come out every four years. Illinois received the same overall grade, a C-, on its 2014 scorecard. The report evaluates 10 sectors of infrastructure: aviation, bridges, dams, drinking water, navigable waterways, ports, rail, roads, transit and wastewater. The engineers grade these sectors on the basis of eight criteria: capacity, condition, funding, future need, operation and maintenance, public safety, resilience and innovation. The grades for three sectors — bridges, roads and transit — went down. Bridges went from a C+ in 2014 to a C, while roads and transit both fell from D+ to D. Olson said that these three areas often rely on state support, which is why they have flagged in the past few years. It’s really come down to the fact that ... infrastructure has been forgotten. Olson said Illinois ASCE has met with IDOT representatives to discuss the problems with the state’s infrastructure and spread the word on the importance of sustainable funding. IDOT spokesman Guy Tridgell said the agency is committed to working with groups like ASCE to discuss infrastructure needs. Olson identified bridges as a chief area of concern. Some 2,300 of the state’s 26,775 bridges are structurally deficient, and these bridges see nine million trips a day. Illinois is not alone in its struggle with dilapidated bridges. The American Road and Transportation Builders Association published an analysis Jan. 29 revealing that more than 54,000 of the nation’s 612,000 bridges are structurally deficient. Most of Illinois’ infrastructure was put in place between 50 to 100 years ago, according to Olson.